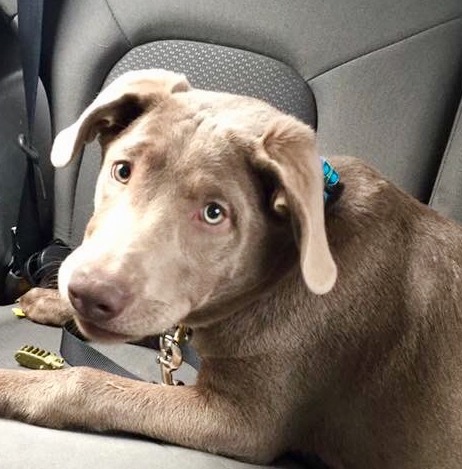 Welcoming Tyson, a 5-month-old “Silver Lab” to Renee’s Rescues. Was originally purchased from a breeder. Couple that bought him don’t have the time to commit to a pup and surrendered to us. Neutered and current on vaccinations. Tyson can be mouthy and is still learning how to be a proper gentleman. In addition, he is working through some resource guarding. Displaying some adverse behavior whenever he has a treat/toy. A confident person is needed — someone willing to take the time with him. Tyson is microchipped and AKC Certified. Please apply to foster or adopt. He will come with pre-paid obedience training.